Have you paid a visit to the intu Trafford Centre recently? No doubt you would have seen one of our recent digital signage projects in its full glory! 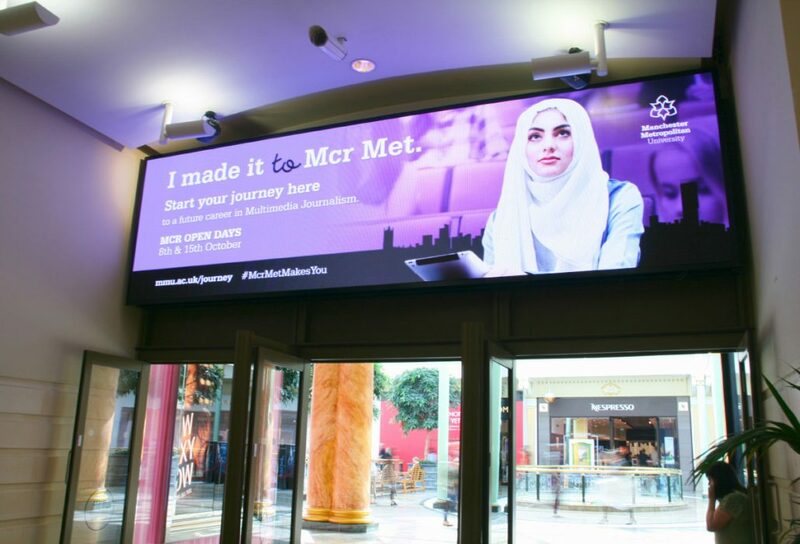 That’s because towards the end of last year, ADXBA officially rolled-out a live network of 13 large-format displays throughout the renowned complex, providing a powerful advertising medium for the centre, its many retailers and local community. As one of the UK’s most iconic shopping and leisure destinations, the intu Trafford Centre is becoming widely known for its clear success in ramping up the consumer experience – which is precisely why they, alongside our client Perfect Fit Media, were looking to integrate clever, unmissable technology that would help to connect with consumers whilst also helping to drive additional revenues. 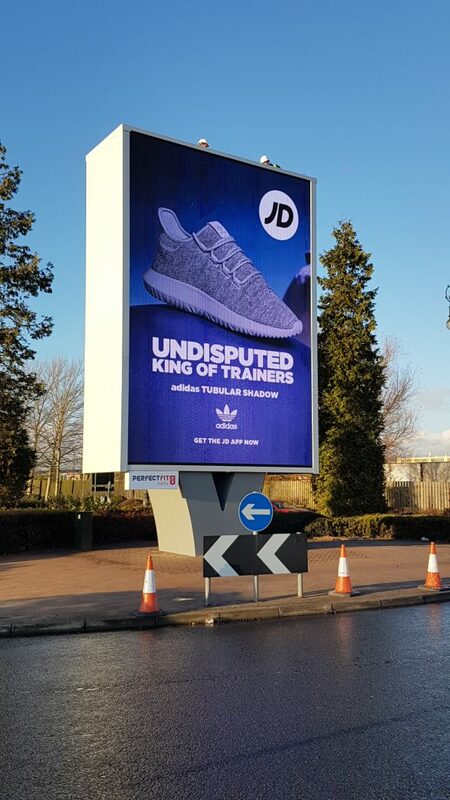 As experts in retail & OOH digital signage, we knew the project was not only going to contribute towards their existing efforts in remaining the ultimate shopping destination, it was also going to provide a more effective and prominent means of advertising for each of the brands operating from the centre and also locally. 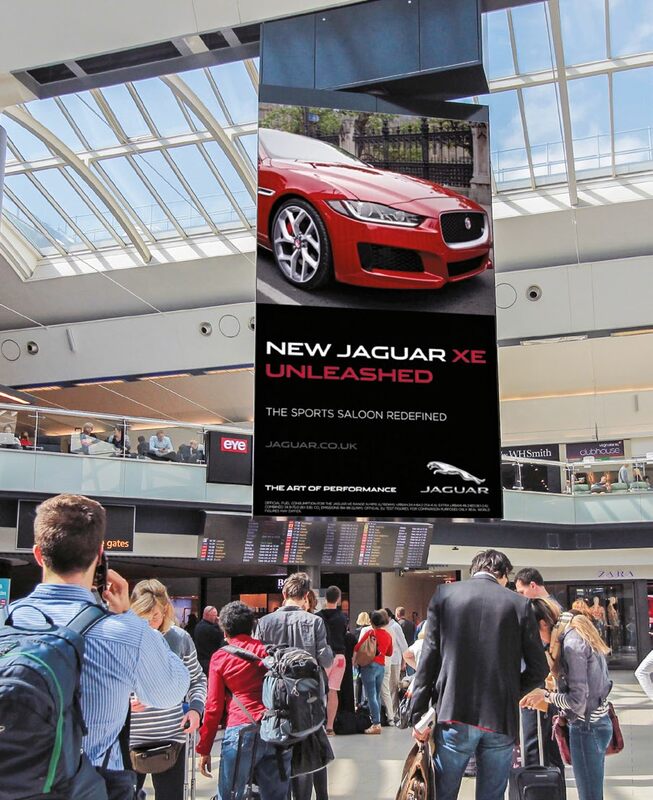 Generating an astounding annual footfall of approximately 31 million, a solution capable of attracting the attention of every consumer as they approach and enter the centre was our ultimate goal – and given the scale of the environment, large format displays were the perfect choice. ADXBA therefore worked alongside Perfect Fit Media to deploy a total of 13 elegant, high-impact LED screens, both indoor and outdoor. The high-quality LEDs supplied by technology partner Daktronics included five bulkhead screens measuring 6m x 1.6m, five large portrait screens measuring 4m x 2m and finally three large format outdoor screens, two measuring 7.3m x 5m and the other 6m x 3m. While displays of this type predominantly have a pixel pitch of 10mm, this installation breaks the boundaries in being the very first 8mm pixel pitch to exist in the England and one of very few to exist throughout the UK.